Kids are so adorable in their costumes- especially the little ones! 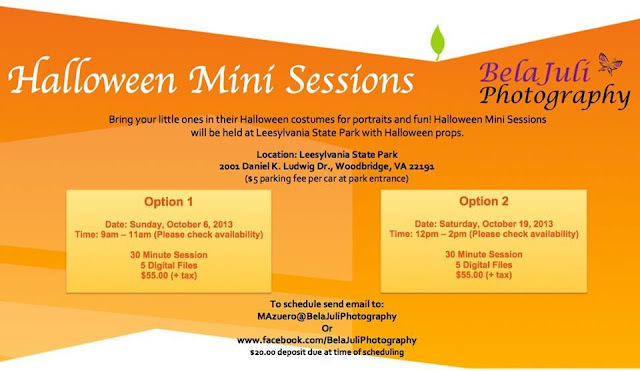 Capture the fun of your little one’s Halloween with mini sessions from BelaJuli Photography. They’re offering two dates, October 6th (Sunday) and October 19th (Saturday), and you’ll get a 30 minute session and 5 digital files for $55! For more information, or to schedule, visit BelaJuli Photography on Facebook, or email MAZuero@BelaJuliPhotogrpahy.com!